I'm not going to try for 4 more finishes in the last 10 days of January. I think I will be happy to have a total of 10 finishes instead of 12. I quilted this baby/lap quilt with a large meander. I have trimmed the quilt and cut the binding but didn't sew it on yet. I will do the binding all by machine this time. 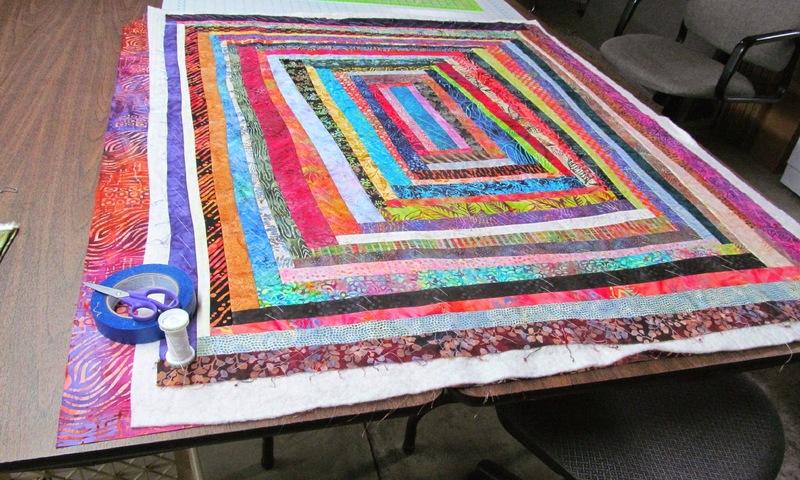 I basted the last of the 5 Wonky series quilts. 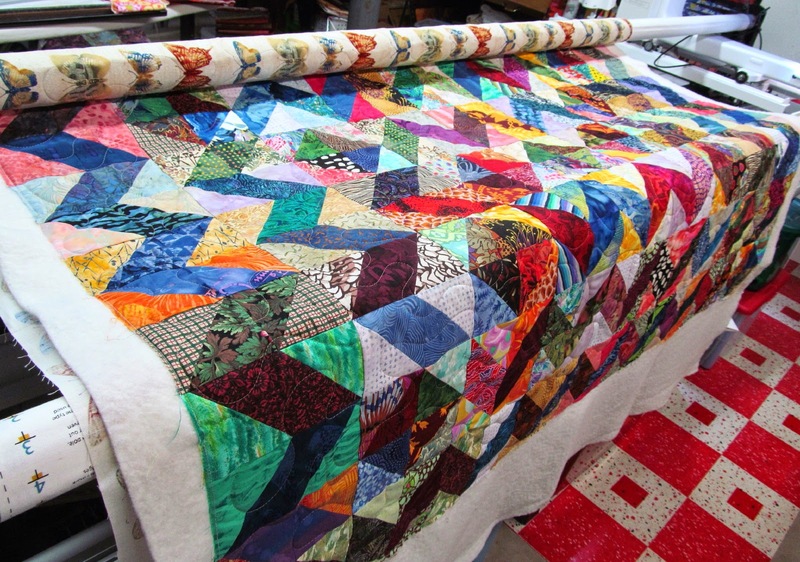 I will quilt it on my straight stitch machine, ditch quilting. 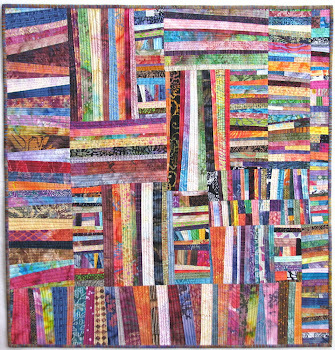 Today is the twice monthly sewing group so I'll work on the flannel quilt that I started piecing last time and start quilting this one when I get home. 10 is an amazing result for the month to your credit and these are another two beauties. Don't know how you manage your time to get them done. Maybe you could write a book too to tell us all how to get more done! Both are just gems of color. I put a deposit on used, refurb long arm and will get in sometime in March so maybe I can get more quilted instead of tops hanging in the closet waiting. Both of those are gorgeous. And 10 or 12? I am still in awe of your number of finishes. 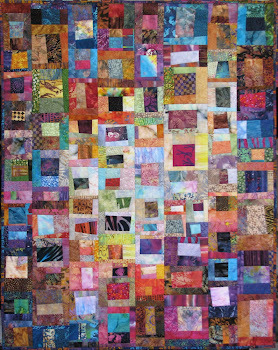 10 finishes for the month is great - you did really well I think, love these quilts. I can't believe January is almost over! 10 finishes is great for the month! I may have 4 depending on how dedicated I am to finishing the baby quilt I pin basted this morning. Very impressive start to 2015! That is a great count for January. We are out here cheering you on for #10! That must be a great feeling! That is definitely an amazing number of finishes. When I get home I intend to start finishing some of mine as well. Need your dedication.